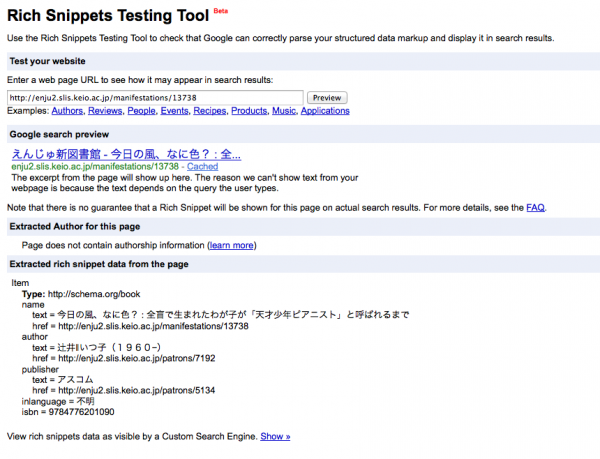 Why doesn’t the rich snippets testing tool show a preview of my search result snippet? 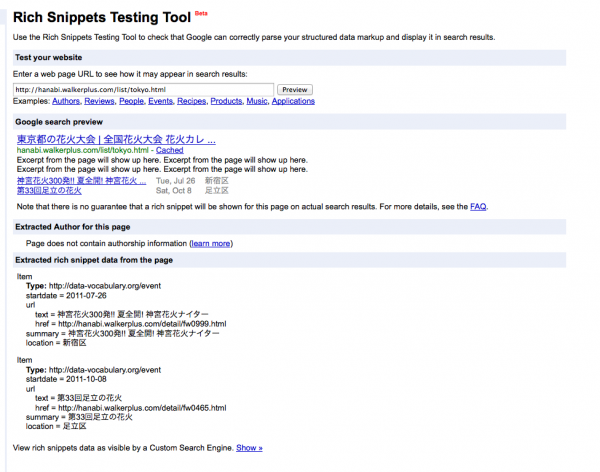 Currently, you can use the testing tool to see what information Google can extract from your pages. We’re working on updating the tool so you can see how content marked up with schema.org might appear in search results.